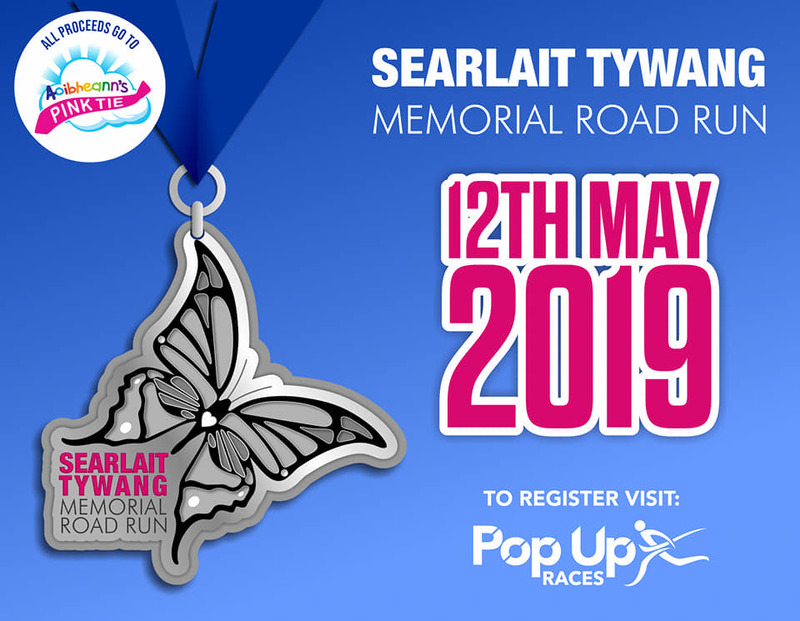 The Searlait Tywang Memorial Road Run was set up in 2016 after Searlait (5) passed away from Childhood Cancer, all monies raised from this event go to Aoibheann’s Pink Tie the National Children’s Cancer Charity. This is the 4th year of the event and this one promises to be the best yet with great prizes, great atmosphere & great post race refreshments! There is a 5k, 10k, 10mile & half marathon. All routes have been officially AAI measured. Registration from 8:30am – 10:30am in Dean Celtic AC, Castlecomer.